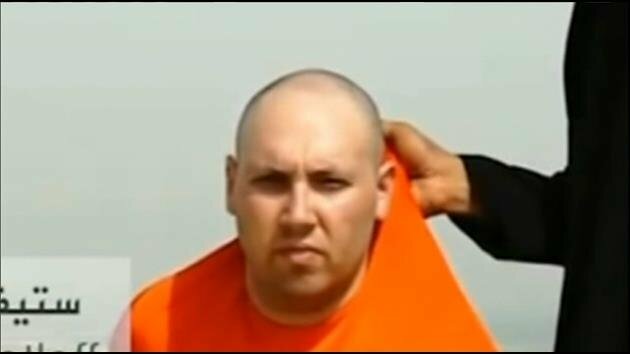 According to reports, ISIS has released a video of the beheading of American journalist Steve Sotloff. When ISIS beheaded freelance journalist James Foley in August, the militants warned that Sotloff would be next if America did not stop its airstrikes against the extremist group. Unfortunately, and despite his mother's powerful plea for ISIS to show mercy, the group appears to have lived up to this promise. It is apparent that Sotloff was an individual with tremendous courage and integrity, and many have taken to Twitter to express their respect for the fearless journalist. The story is still developing, but President Obama will probably be under even more pressure to act swiftly and without mercy. Our thoughts are with Sotloff's family and loved ones in the wake of this tragic and deeply disturbing news.